USE OF INFORMATION: The information you provide may be used by Linux Journal and the content sponsor to send you information about their products and special promotions, but will otherwise not be released to third parties. 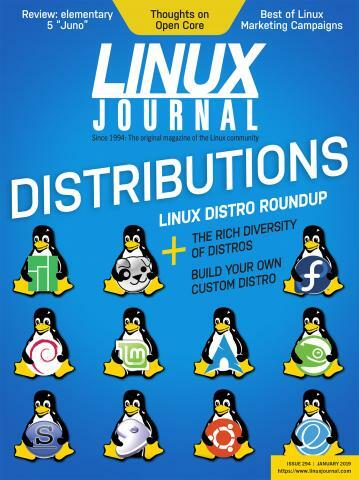 If you do not wish to receive information from Linux Journal and/or sponsors, please e-mail publisher@linuxjournal.com. Register to download Enterprise Monitoring Success by Mike Diehl. You've all heard the mantra: "better, faster, and cheaper". It seems that a system administrator can't go to a management meeting without hearing it. Thinner profit margins and higher customer expectations require that IT departments up their game. In this eBook, I discuss how enterprise monitoring can help and how to deploy a quality enterprise monitoring system successfully. Management teams are barraged by industry pundits constantly telling them about the next best thing to do in order to save money on IT costs. There's outsourcing, public cloud, private cloud, virtualization, and any number of mechanisms designed to save money on IT expenses. Whether they actually save money isn't the point; the point is that saving money is always on your manager's mind.